Whether you want Lumber, Tile or even Vinyl Denver Outdoor Spaces by Brunetti Designs can help. Click here to learn more about amazing Decks and Outdoor living. 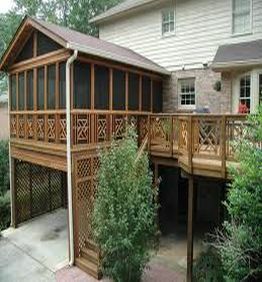 Let us enhance your outdoor living by building you a deck with built in lighting or maybe a Sun Room. Click here to learn more about our Outdoor Living additions. Building Decks in Denver is what we do, its what we are good at and most importantly it is what we are passionate about. 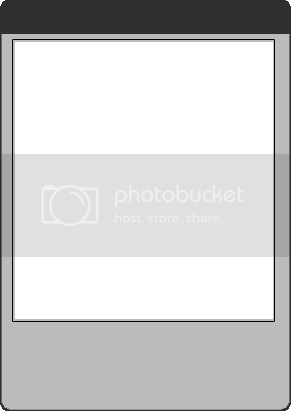 Click here to find out what sets us apart. Many people do not think of maximizing the space, comfort and beauty that can come from a front porch. 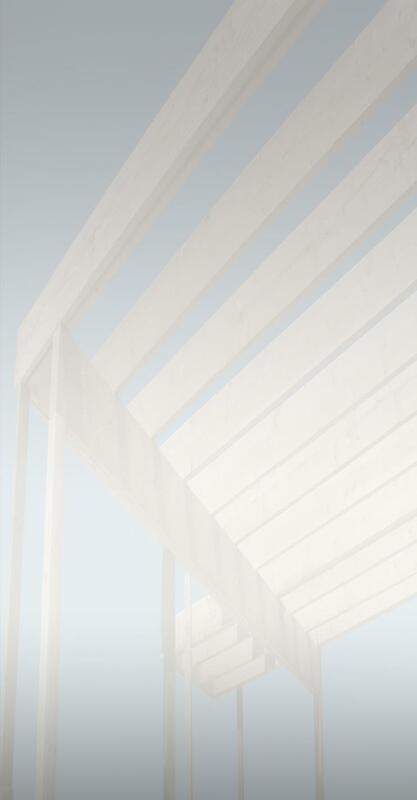 Click here to find out what options your porch comes with. Denver's Best Deck Builders are ready to assist you in Building the Colorado Deck of your dreams! Denver Deck Estimate is a website helping residents get in contact with professional deck contractors within Denver and the surround Metro Area, especially Douglas County Colorado. We enhance the physical appearance and functionality of our customers yards by building top notch Decks, Porches, Sun Rooms, Patio Covers, Outdoor Kitchens and many other Outdoor Living enhancements. With over 10 years of hands on experience within the decking Industry, Brunetti Designs has the experience necessary to deliver top of the line work. Being an experienced Deck Building Company in Douglas County Colorado is important, but what sets Denver Outdoor Spaces apart from the competition is their creativity, passion and general love of doing what they do. We are involved in the entire building process and work hard on your project, not having to sub out most of the work, or any of it! This hands-on approach brings about a sense of small business and ownership in all the projects we take on. Regardless of whether you come into the Deck Building process with ideas of your own, or we're starting from scratch, you'll find that Denver Outdoors has the creativity and vision necessary to deliver a plan that will blow you away. 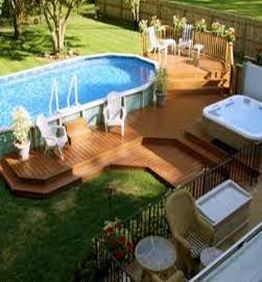 We can assist in building you a deck utilizing any type of material on the market, whether you prefer having a traditional wood deck, a lower maintenance deck made with Composite or Vinyl or maybe you would prefer a highly fashionable and durable Stone or Tile Deck. 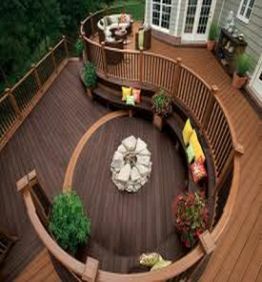 If you already have a deck, and just need the deck touched up or repaired, we'll help with that as well. Regardless of your taste, a Douglas County Certified professional can help deliver a top quality Denver Deck at a reasonable price. The summers in Colorado are amazing! We can help you maximize your summers even more, by ensuring you spend more time outdoors enjoying the beautiful Colorado summer weather. Installing an Outdoor Kitchen or an Outdoor Fireplace will help you and your loved ones enjoy your BBQ's in style! Get out there and enjoy your summer Colorado, and let Denver Outdoor Spaces help you enjoy them ever more (DenverDeckEstimate.com, Brunetti Designs). A Deck Builder in Denver can help assist in brining your Porch to life as well! A Porch, if built carefully and creatively can add as much to your front yard as a Denver Deck can add to your back yard! If you're used to coming home to a slab of cement as a front porch, you're not alone. Too often it seems people are content to think of their porch as a wasted space! Let us help bring your front porch to life by having Denver Outdoors build you a custom built wood porch. A screened porch in Denver can help protect against bugs and sun, and it sill lets you enjoy the outdoors! A great way to add some beauty into your front yard, and provide some sun shade is with a Patio Cover. The most aesthetically appealing, and permanent addition you can make to your front porch is by having "Denver Deck Estimate" put you together a Stone Porch! If you want to bring your front porch to life, let Denver Outdoor Spaces help build you an amazing porch. There are a few mistakes often made when Building a Deck or patio, and they can be life thretening. Here is a list of the most common mistakes that DIY'ers make while building or retro-fitting their own decks. There are a lot of variables that go into an estimate, and most contractors will keep materials and labor hidden from you. In fact some will provide a high estimate padding the labor aggressively high, and keeping the cost hidden from their potential customers! We lay out all costs in an easy and friendly trust worthy format. We will even include take-off lists for you for free! What areas of Colorado do we support? 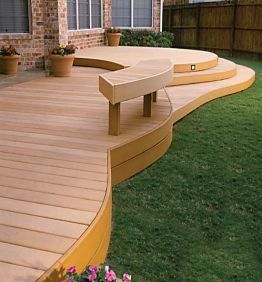 We gladly provide free onsite decking estimates and answer any deck or patio questions you may have. Denver Outdoor Spaces, by Brunetti Designs, services as far West as Evergreen (for larger jobs only) and East through out all of Aurora Colorado. We are located in Castle Rock and Highlands Ranch (Lone Tree area). 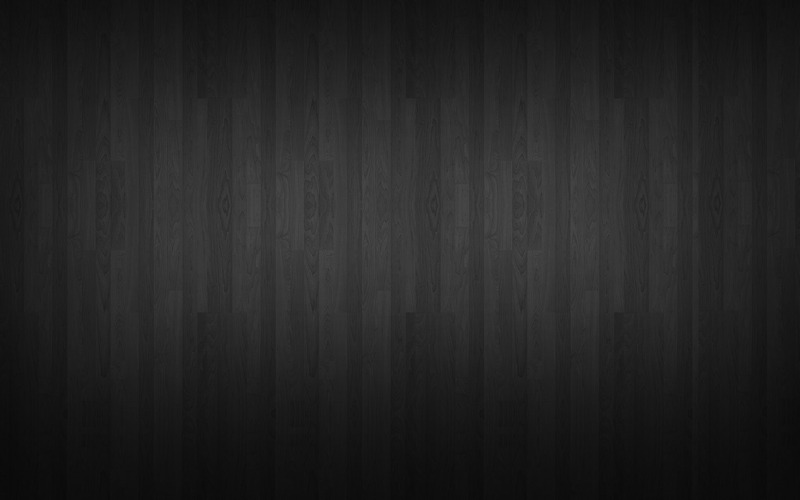 We love to work in Douglas County but venture outside of it for Decking jobs nearly every month. Denver Deck Estimate, Douglas County Colorado.